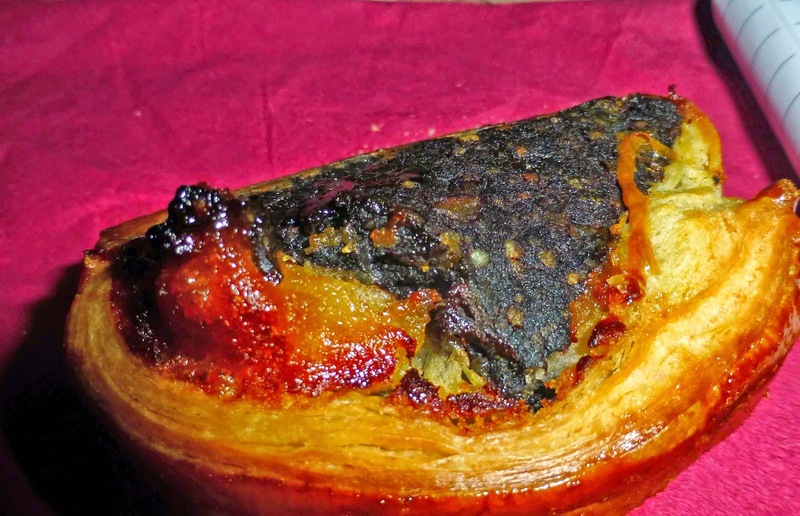 Scrumptious Blackpudding from Jack McCarthy. Great flavours from the L'Atitude kitchen. 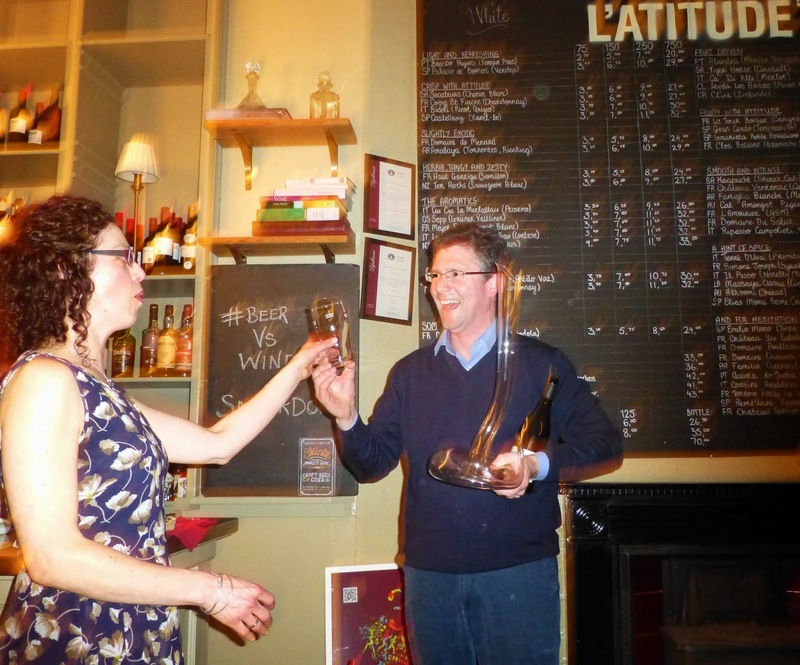 Lots of good humour and great drinks at the Beer v Wine Smackdown in L’Atitude last Thursday night where the protagonists were Caroline Hennessy and Colm McCan. Caroline, co-author of the Irish beer bible Sláinte, made it clear at the outset that she was making the case for craft beer saying “the other beers have no flavours”. Her first beer, Black’s Kinsale Pale Ale, was a perfect example. “Hops are the spice of beer,” she said. “Beer is just to wash away the dust”, joked Colm as he introduced his heavy hitting first, the Decanter Gold winning Wiston Rosé, an English Sparkling Wine, made in the South Downs by Limerick’s Dermot Sugrue. Both were matched with Hederman Smoked Mackerel with Rhubarb Compote from the L’Atitude kitchens. Colm did admit he was a big fan of craft beer as he put a call, on speaker-phone, through to Dermot in the UK and they chatted about the huge honour received by Wiston when their wine, a twenty-bottle bottle of it, was chosen, instead of the traditional champagne, to launch the mega cruise liner Britannia.”Twenty minutes later the Queen was still saying wow”, referring to the pop (explosion!) when the Nebuchadnezzar made contact with the ship. See it here on video. Ireland is fast becoming a big producer of all kinds of drinks, including spirits, and so Caroline decided to include cider as her second round choice. And the local cider she picked was the Stonewell medium dry, a great match with Jack McCarthy’s black-pudding and apples. 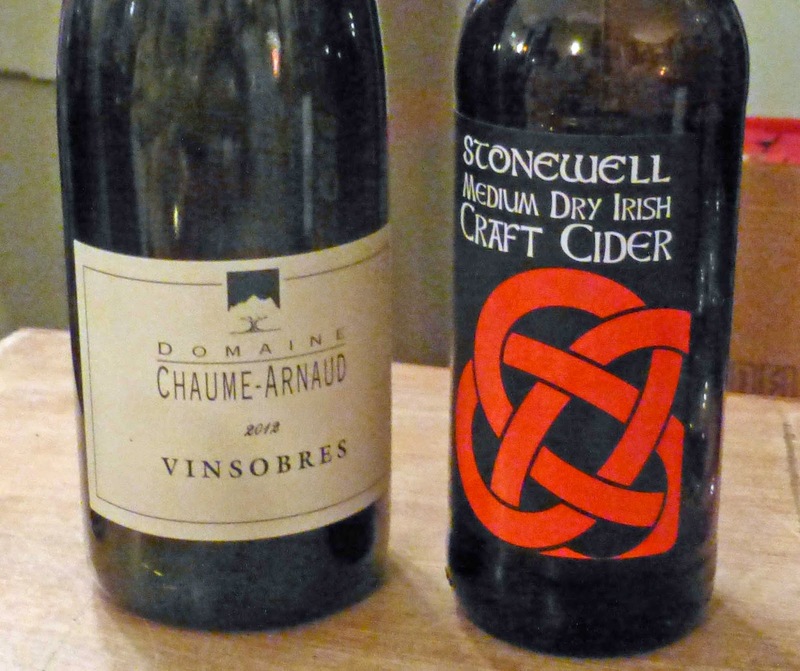 Colm said cider, in the way it is made, is the closest thing in Ireland to wine, “at the moment!” as he introduced his biodynamic 2012 Vinsobres from the Southern Rhone, “a winter-warming wine..with a natural acidity that should cut through the black pudding”. It sure did and even won the round with “victory” in round one going to the Pale Ale. And then we were on to round three where Double Chocolate Porter Brownies were paired with Knockmealdown Stout and Taylor’s 2008 LBV. The stout, with its traditional flavours, is by Eight Degrees where Caroline can't help but be involved considering that husband Scott is one of the two founders. The brewery, set up in 2011, has been going well ever since. She said the current craft beer wave is well underway thanks largely “to a tax break in 2005 by then finance minister Brian Cowan”. Eight Degrees are just about to start a “massive expansion”. Chris Forbes of Taylor's was next the next speaker on Colm’s phone and he explained some of the terms used in the port industry including LBV (late bottled vintage, all from one year). “Slow aging,” he said, “helps maintain the flavours and the tannins. The beauty of Port is that it cannot be made anywhere else in the world, only in the Douro. “We use all kinds of traditional grape varieties here”. He mentioned the various Tourigas and Tintos but he said the really important thing for Taylors was not the individual varieties but the blend itself. That attention to detail was evident in the LBV as it held its own with the brownies. The Stout was an excellent match, not surprising since a generous amount went into the Brownie mix! Then we had the voting, via murmurs of approval. Caroline and Colm had a round each to their credit and the final matching ended in a draw and that meant honours were even overall. The point of all this is that there are very good wines out there and, increasingly, very good Irish beers and ciders. And now, the Irish is taking its place alongside wine at the dinner table and in the restaurant. Here's my recent example. I spent 24 hours in Kinsale on the weekend before last and enjoyed craft beer Malt Lane and in Monk’s Lane in Timoleague. Last Friday and Saturday, I was in Bantry and sampled craft beer in the Fish Kitchen, across the road in Ma Murphy’s, in the Maritime Hotel and, on the way home, they had a selection in Church Lane in Macroom. Don’t think that would have happened 12 months ago. Point made! The next “match” between Caroline and Colm is likely to be at Savour Kilkenny in the autumn.